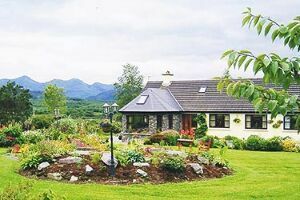 Glencar: is nestled in the mountains of Kerry and is a base for climbing and walking the mountains. The Caragh River flows through Glencar is a wellknown for salmon fishing. Just a short drive off the Ring of Kerry, Glencar is an area of natural beauty that has attracted visitors for years. Just 1 Bed and Breakfasts in Glencar with rooms starting at €80 per night. Please book directly through this website to miss out the middlemen and reduce B&B Owners costs.